exhibition. 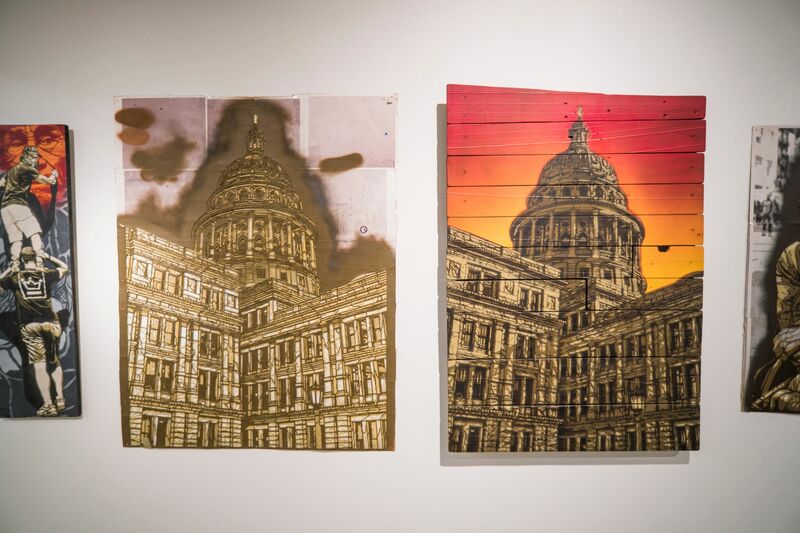 All Texas A&M students, regardless of major, are welcome to submit their artwork. $50, and film overall $100. Winners will be announced at a reception on April 4 from 7 – 9 p.m.
(all are welcome to attend). 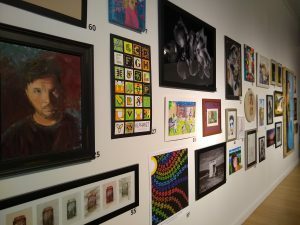 92 works on display this year! 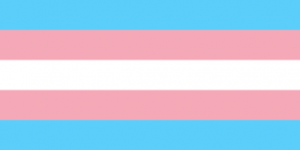 Featuring stories and photos from transgender and gender non-conforming Aggies. The Transilient at Texas A&M exhibit is curated by Basil Soper, the initiator of the national Transilient project (visit WeAreTransilient.com to see the full online project). 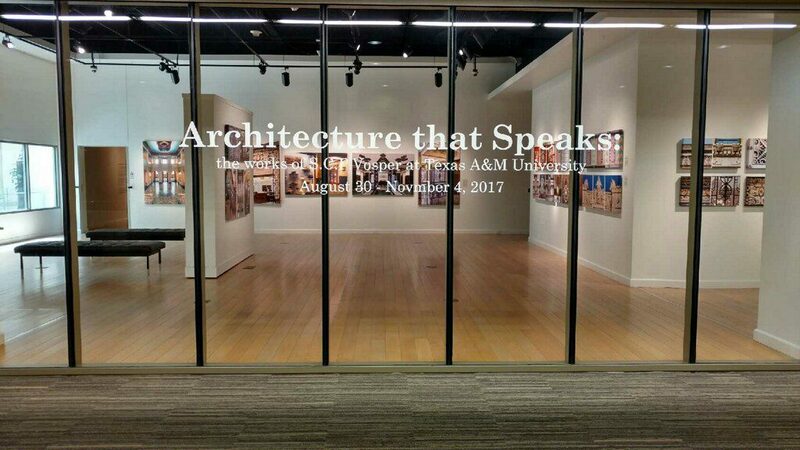 If you wish to be featured in the exhibit at Texas A&M, please contact visualartscommittee@gmail.com to request information on how to sign up for an interview time. All interviews and photos will take place on the Texas A&M, College Station campus between April 2 – 4, 2019 the deadline to sign up for a time is March 31. El Peso Hero will be on display in the Reynolds Gallery until March 2, 2019. 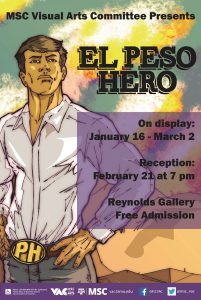 Exhibit Description: The MSC Visual Arts Committee is proud to present El Peso Hero, an exhibition featuring examples from a graphic novel universe created by Hector Rodriguez. 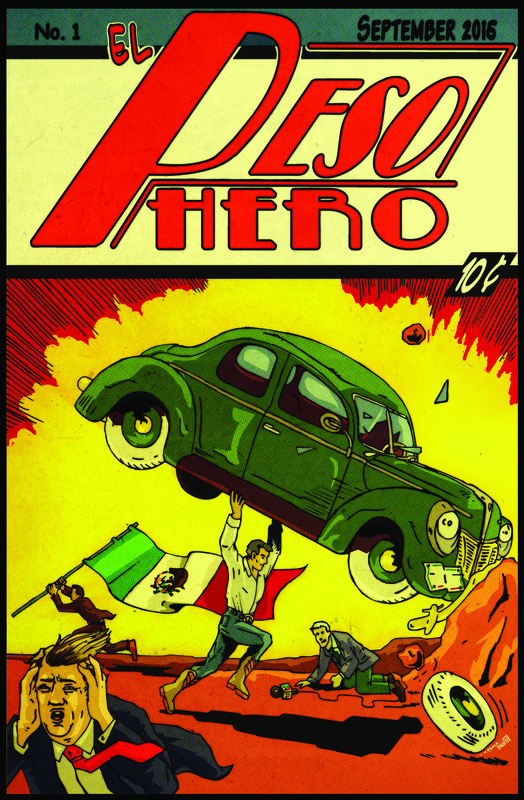 El Peso Hero is the story of a Mexican-American superhero who helps refugees at the U.S./Mexico border. Using the characters and graphics as his medium, Hector Rodriguez explores a cross-cultural ridge of ideas and the reality of the boundary between the US and Mexico. Rodriguez is focused on the content of his work more so than appealing to a certain audience, and the open format of a comic book enables him to do just that. 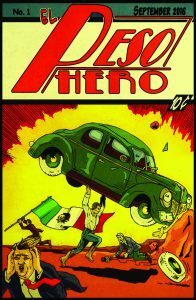 Creating El Peso Hero, the Mexican border superhero, is a collaborative process with his writing and artistic team, and ultimately with his fan base. 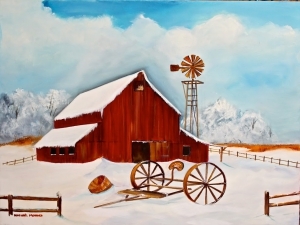 About the artist: Hector Rodriguez was born in Eagle Pass, Texas. 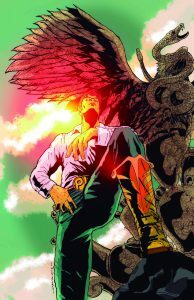 He created the first issue of El Peso Hero in 2012. 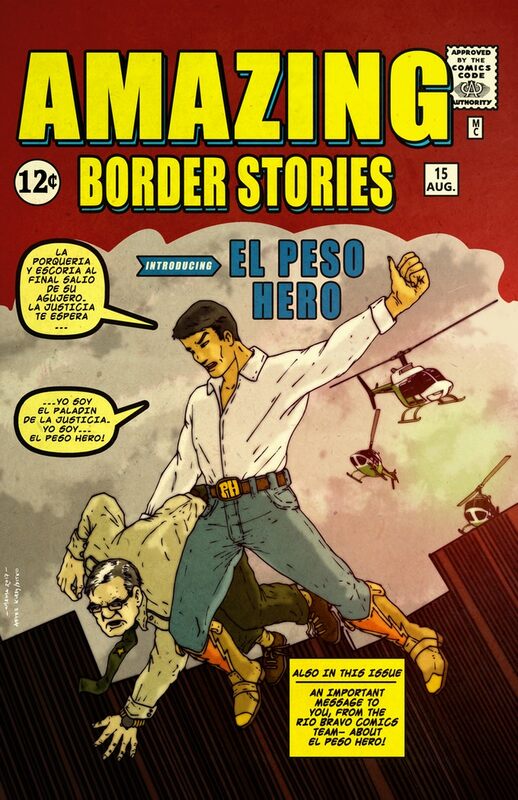 El Peso Hero, and Rodriguez’s entire body of work, is broad and does not support any one message. 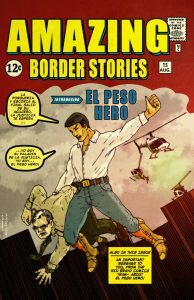 In the summer of 2017, he worked to launch the first ever Latinx comic event in Texas in the city of Dallas, which is now an annual event. Currently, he is an elementary bilingual reading teacher in McKinney, Texas. 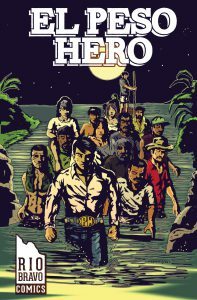 Hector Rodriguez is striving to achieve more diversity within art using graphic novels, especially in his exhibition here at Texas A&M. Ultimately, he is hoping to see more diversity and representation in the writing and creative process. 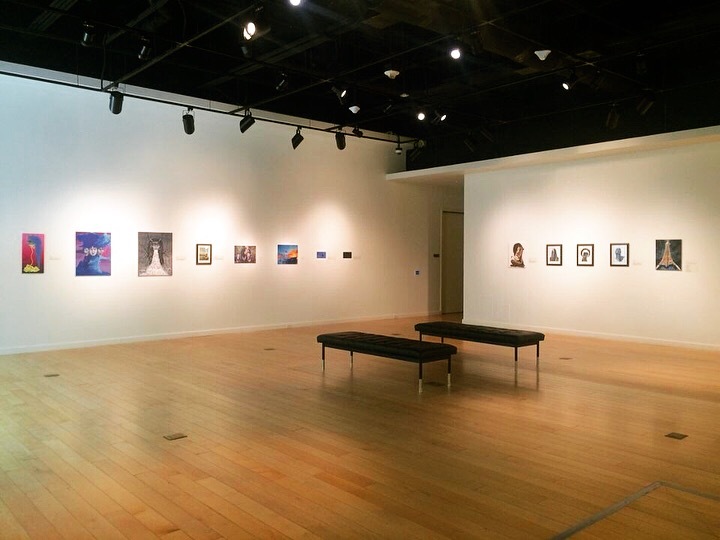 Reception: An artist reception will take place on Thursday, February 21, 2019 from 7 to 9 p.m. in the Reynolds Gallery. Receptions are open to the public. Admission is free. Communities rally together in times of happiness as well as pain. The word community often brings to mind friends and families gathering together to live, work, and celebrate. A community is also a source of social support when individuals rely on one another after traumatic experiences or disasters. Recent events in the U.S. and abroad have challenged the idea of what it means to be neighbors at both a local community and a national level. 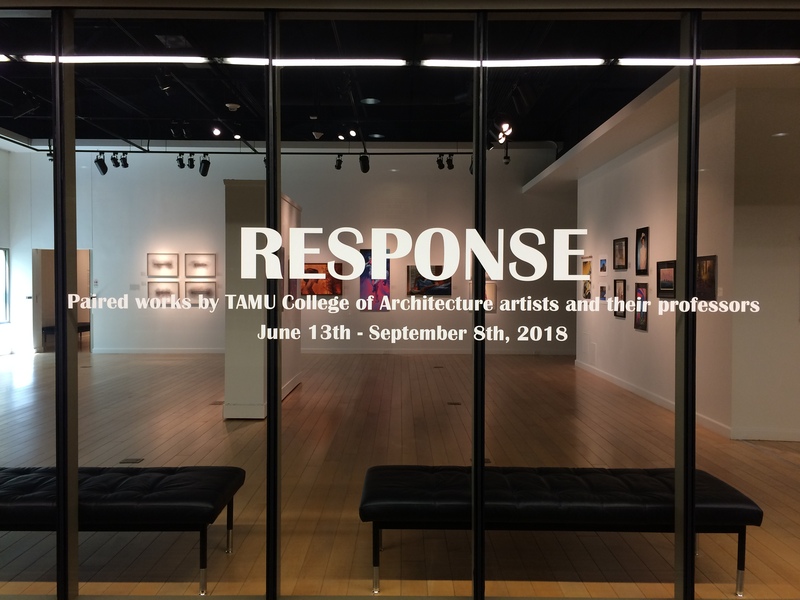 This exhibition features large scale installation works by Texas A&M MFA students who express their own individual experiences of the Aggie Community. 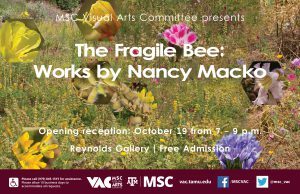 The MSC Visual Arts Committee is proud to present The Fragile Bee: Works by Nancy Macko, an exhibition looking at the relationship between technology and nature as art. 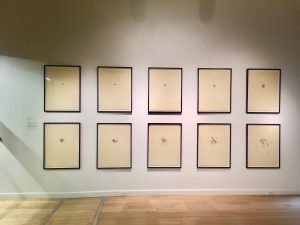 Focusing on the honey bee, this exhibition seeks to explore the power of eco-feminism using both an artistic and scientific viewpoint. With her use of honeycomb imagery combined with close-up photography, Macko is able to express the interconnection of life with art and nature. 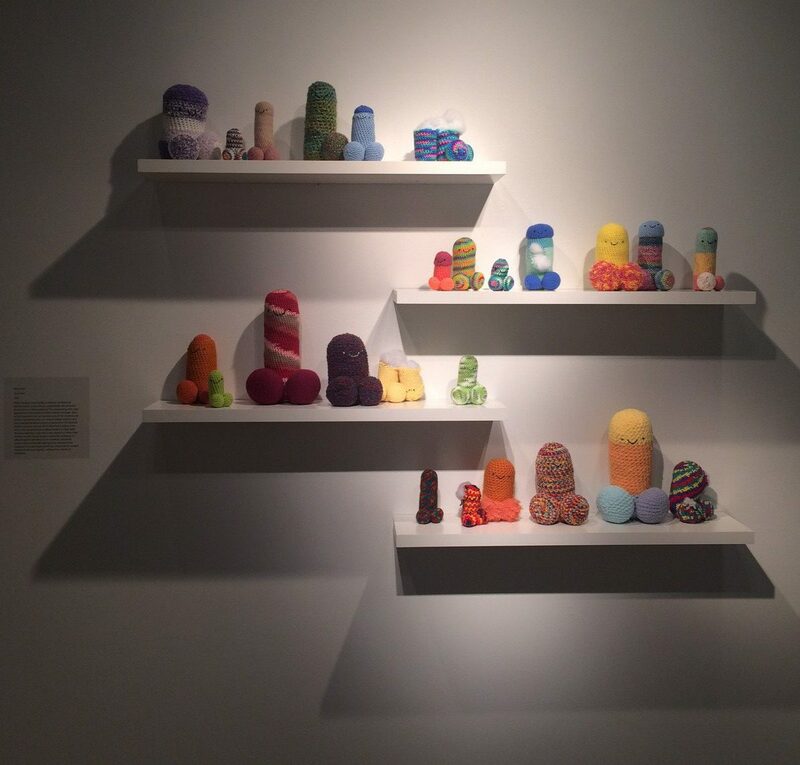 Nancy Macko is the Director of the Digital Art Program at Scripps College in California. 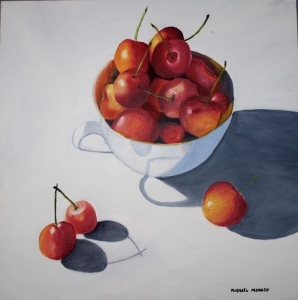 She has been teaching and producing art since the 1980’s–showcasing her work in more than 140 exhibitions. 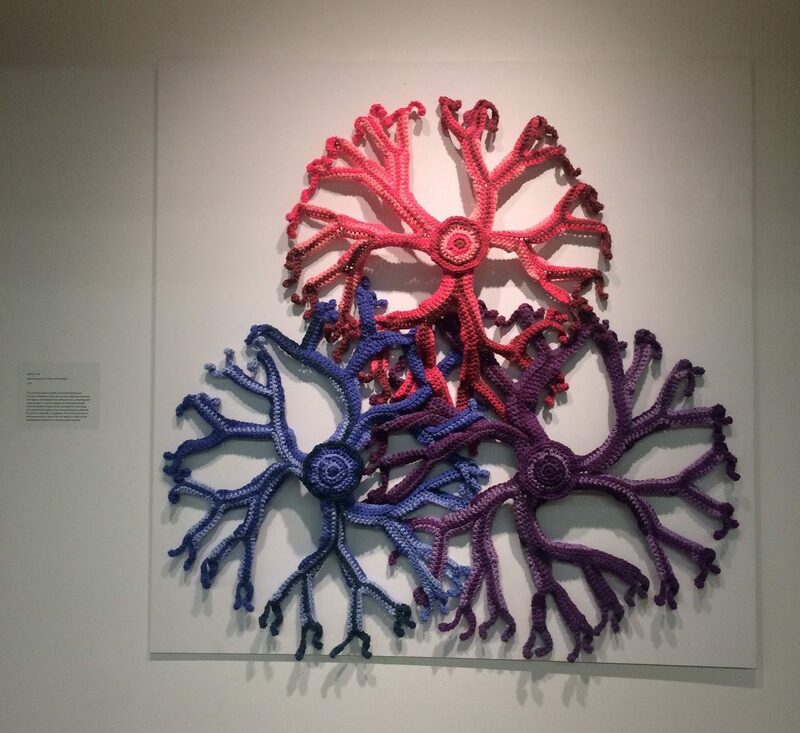 Using multiple mediums, her work is a striking integration of science and art depicting the complexity of the natural world. 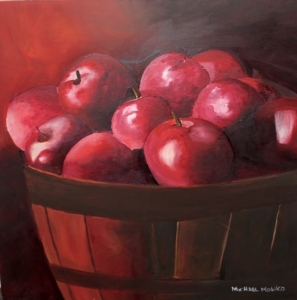 In addition to teaching and creating artwork, Macko is highly involved in museum and curatorial work. She has held state and national leadership positions as an advocate for the arts. 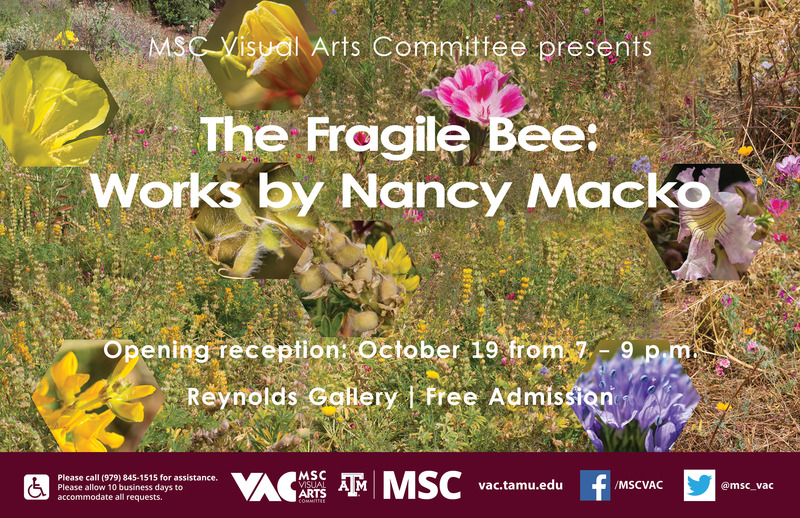 The Fragile Bee: Works by Nancy Macko is organized through Katharine T. Carter & Associates. 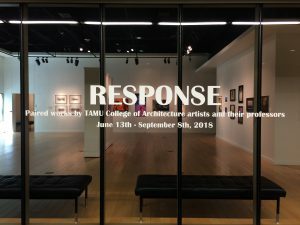 The MSC Visual Arts Committee in partnership with the College of Architecture is proud to present Response: Paired works by TAMU College of Architecture artists and their professors, an exhibition focused on the reciprocal relationship between a professor and student as represented in their respective works. 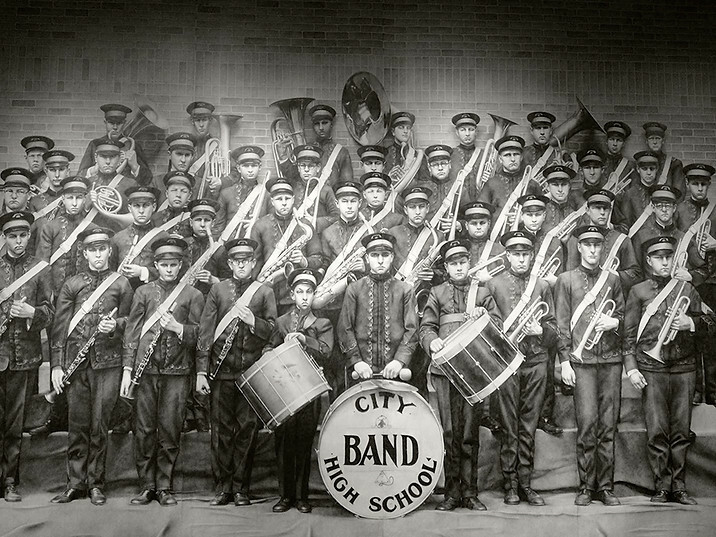 The intent of this exhibition is to demonstrate the powerful bond of mentorships that allow the student and teacher to impact and inspire one another. By pairing the works side by side, we can not only see the influence between the two but also how they differ artistically. 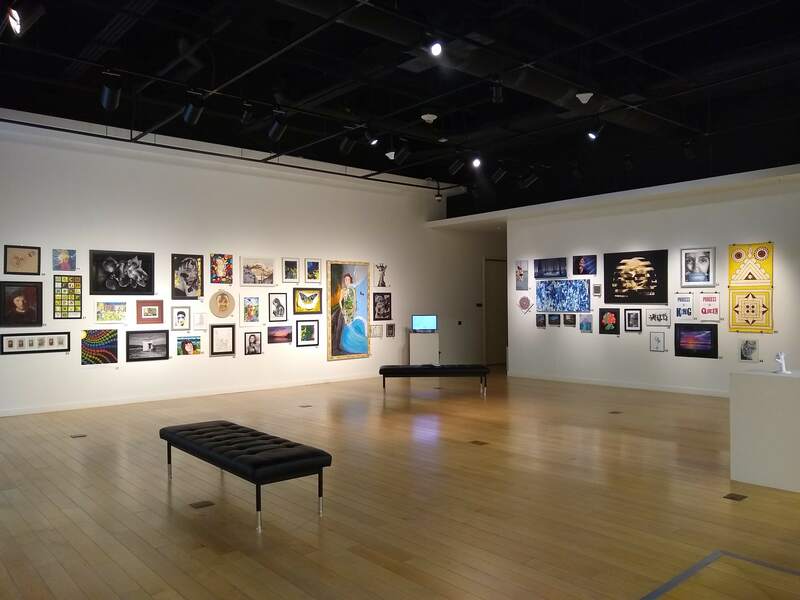 Although the student-professor relationship is primarily grounded in learning, this exhibition recognizes the lifelong impact both artists can have on each other. 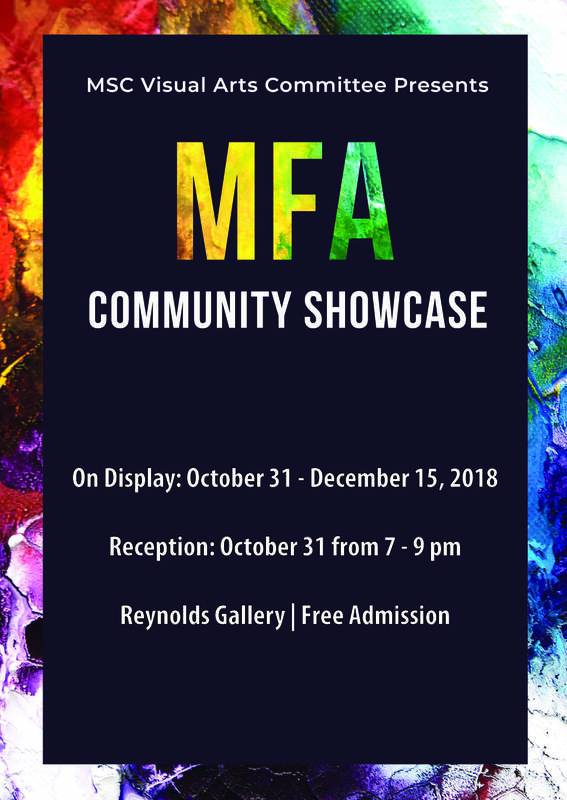 The MSC Visual Arts Committee seeks to show how artists and their professors continuously have a lasting relationship that is always at work—influencing, inspiring and most importantly growing. A public reception will take place on August 22, 2018 from 3-5pm in the Reynolds Gallery. Refreshments will be provided. 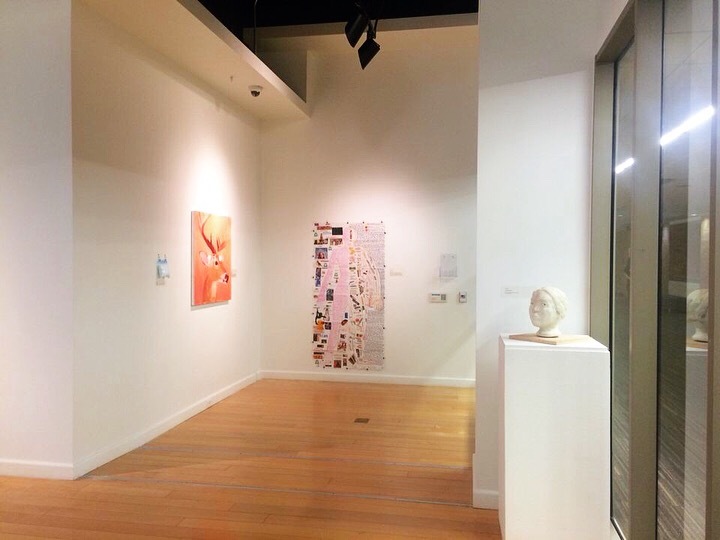 Aggie Minds is a student exhibition exploring mindfulness, wellness, and mental health. The intent is to provide all students a way to share their thoughts and experiences through their creative process. Aggie Minds seeks to connect students from all backgrounds and majors on a personal level. While not all mindfulness or mental health perspectives are universal, those who choose to share their testimony through their work in Aggie Minds may support or inspire fellow Aggies who share similar thoughts or experiences. Look around — you’re not alone. 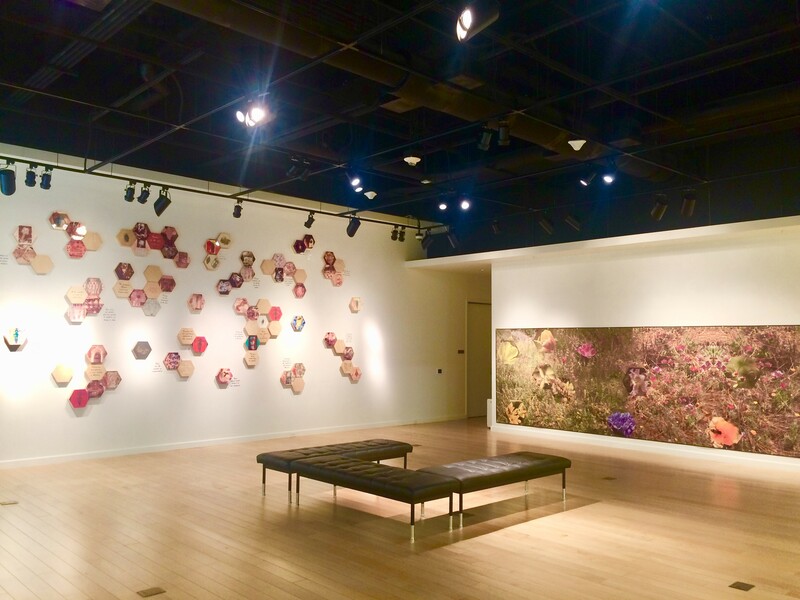 An opening reception will take place on April 26, 2018 from 7–9pm in the Reynolds Gallery. Refreshments will be provided. 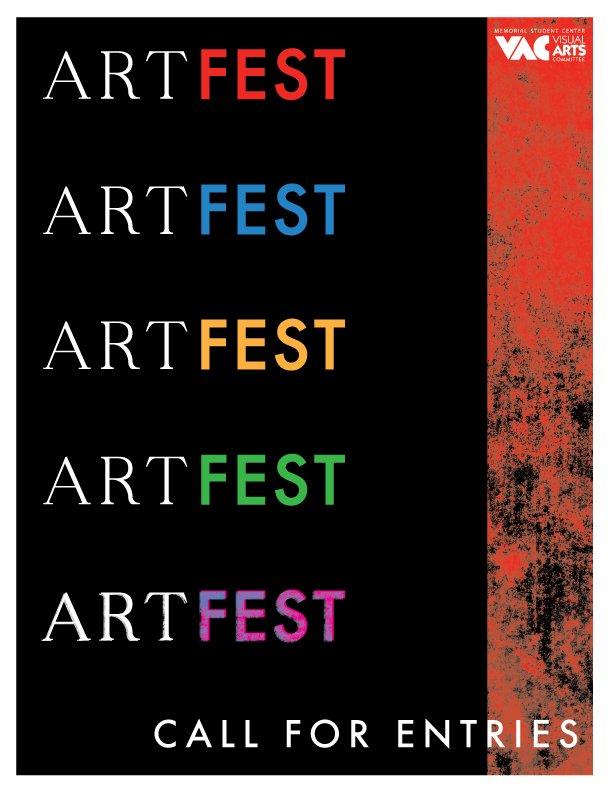 ArtFest is an annual juried student art competition and exhibition sponsored by the Memorial Student Center & The Visual Arts Committee. 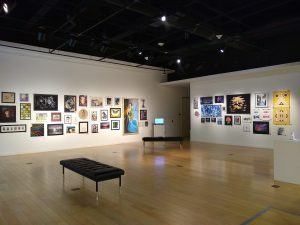 The top winners receive cash prizes and all selected finalists will be exhibited in the James R. Reynolds Art Gallery. For ArtFest 2018, we received 137 pieces from Texas A&M students, all of which were displayed in the gallery until the end of the exhibition on April 21, 2018. A reception and awards ceremony took place on March 8, 2018 from 7–9pm in the Reynolds Gallery. MSC Town Hall provided a live jazz duo for the event. 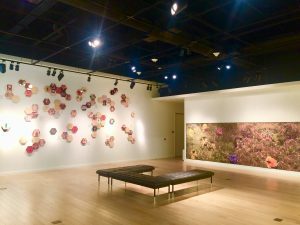 On display January 17–March 3, 2018 in the Reynolds Gallery. The MSC Visual Arts Committee has collaborated with the Muslim Students’ Association at Texas A&M University and the Islamic Arts Society of Houston to bring this unique and culturally immersive exhibit to campus, in order to share just a few personal expressions and interpretations of Islam with Texas A&M and the Bryan/College Station community. The mission of Islam, the Texas A&M Muslim Students’ Association, and the Islamic Arts Society of Houston is the same: to spread peace and love, and to bring people together as a community. That is also the intention of this exhibit. The Muslim Students’ Association at Texas A&M University serves students on campus and the Bryan-College Station community by promoting unity among fellow Muslims, hosting Islamic religious and cultural activities, and educating non-Muslims about the many-faceted history of Islam. 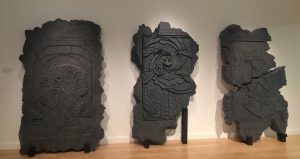 Similarly, the Islamic Arts Society of Houston aims to promote the rich heritage of Islamic art, while bringing Muslims and non-Muslims closer in the Houston community. 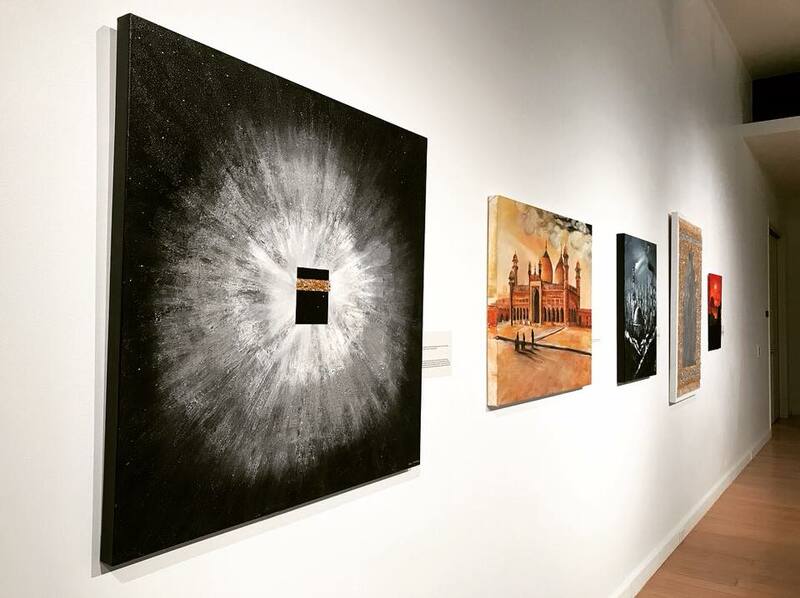 If you don’t know much about the extensive artistic and cultural history associated with Islam, viewing this exhibit is only one place to start. 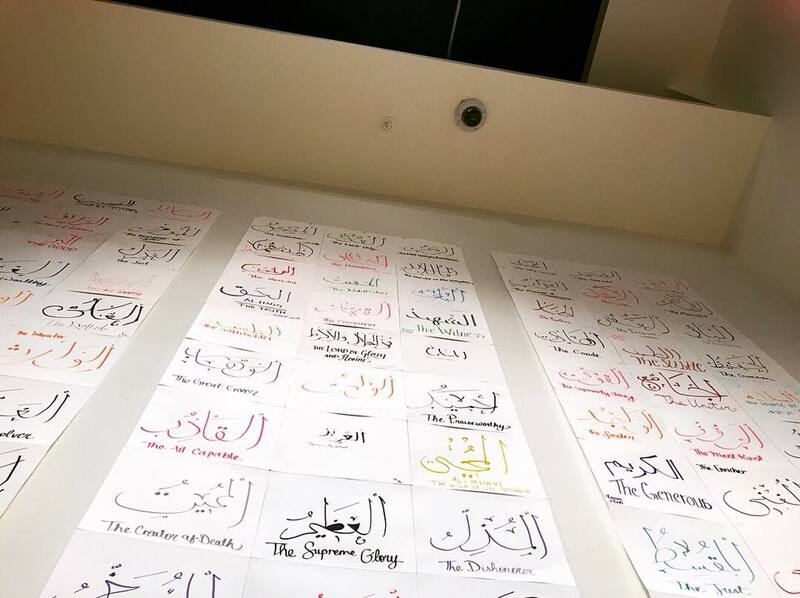 There are many resources available about contemporary and historical traditions of Islam artwork; the MSC Visual Arts Committee suggests visiting the websites of the Islamic Arts Society of Houston and the Texas A&M Muslim Students Association to start. 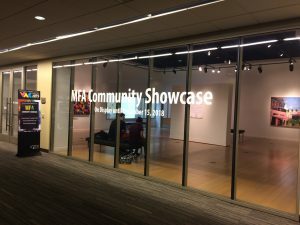 There was an opening reception on February 1, 2018 from 7–9pm in the Reynolds Gallery. Gavin Rain is an artist from Cape Town, South Africa. 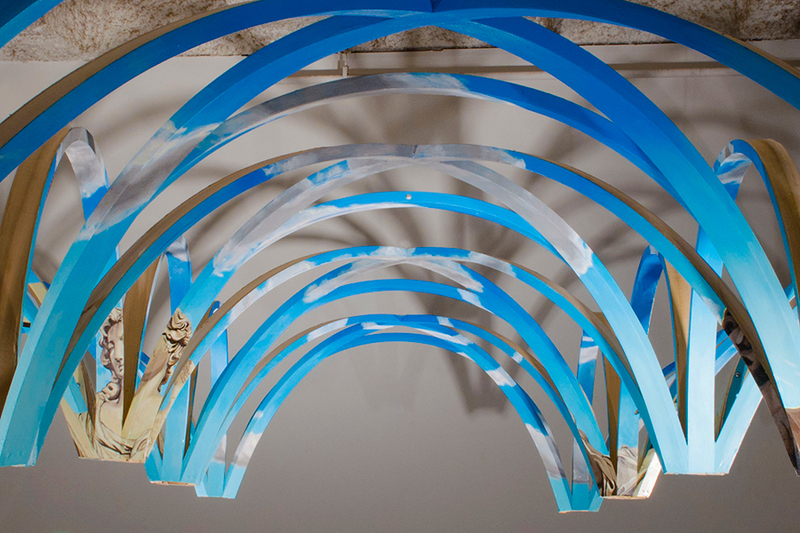 Rain’s intent with his artwork is to show people two opposing ways of seeing. Up close, all you see are the details of each individual circle, but from a distance the portrait of Beyoncé becomes clear. His message is clear: “take a step back”. Combining traditional pointillism and influences from our digital world, he brings new life to the well-known style with a technique we can only call neo-pointillism. 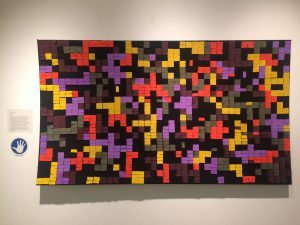 Rather than using distinct colored dots, he stacks large concentric colored circles in a layered grid, similar to how pixels make up a digital image. Unlike digital displays, Gavin uses a wide range of colors to achieve his finished image, adding more color information than the original image provided. Gavin Rain’s experimentation with color theory helps him to design highly detailed and vivid images. 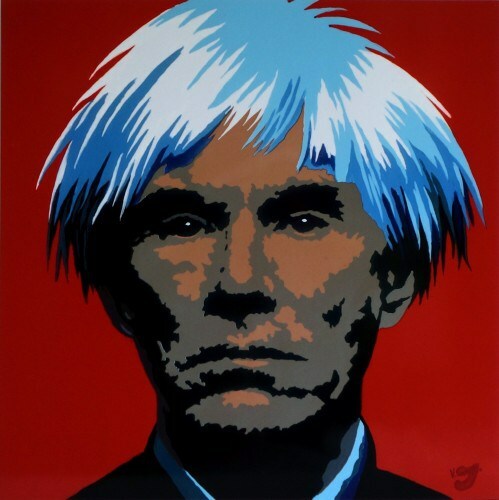 He compares his own technique to using woodcut prints that utilize negative space to create depth. 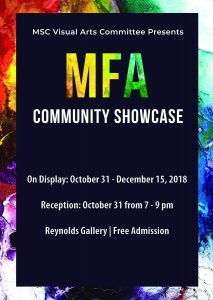 There was an opening reception on November 30, 2017 from 7–9pm in the Reynolds Gallery. Just a short walk on campus reveals the history of Texas A&M University through its diverse architecture. 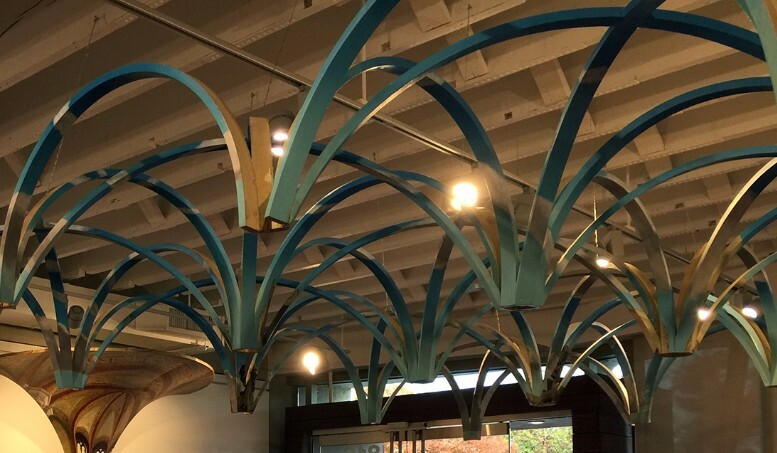 While we are all surrounded by his work, few of us are familiar with the name of the designer behind it: Samuel Charles Phelps Vosper, or S.C.P. Vosper. Between 1928 and 1933, Vosper served at Texas A&M University as both a Professor of Architecture and as Chief Designer under the Campus Architect, Frederick E. Giesecke. During his brief time at the university, Vosper oversaw the completion of 10 buildings on campus in just 4 years. Vosper’s life and work is the subject of a recent publication by the Texas A&M University Press. 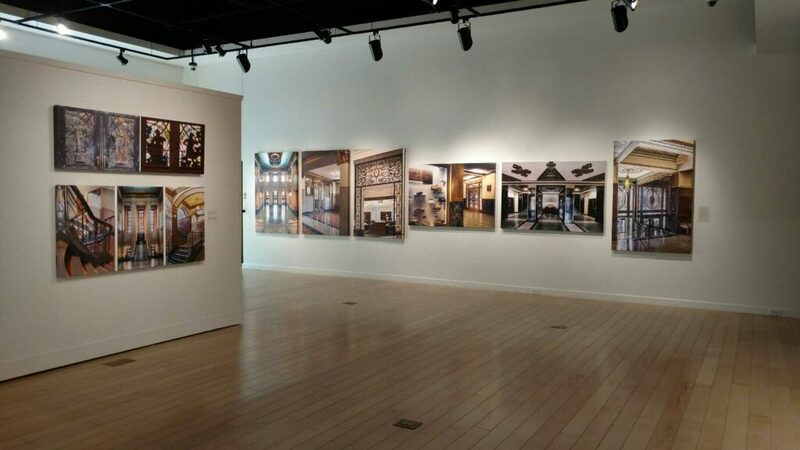 The authors are architect Nancy T. McCoy, principal with Quimby McCoy Preservation Architecture, Dallas, and David G. Woodcock, Professor Emeritus of Architecture, Texas A&M University. 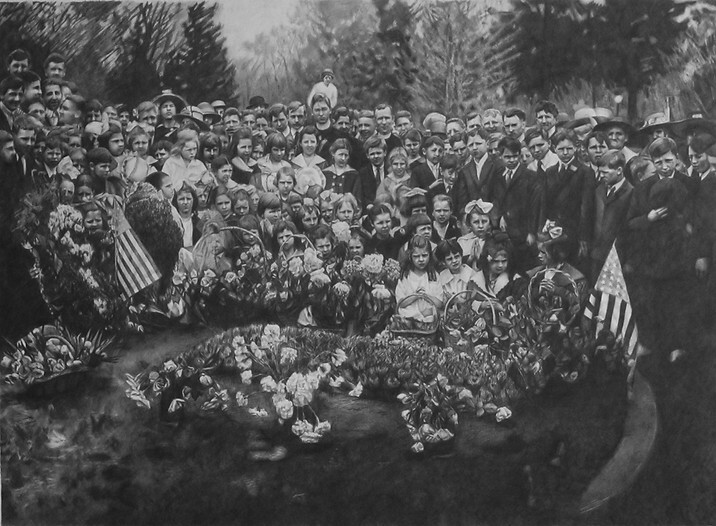 The book will feature the images in this exhibit. 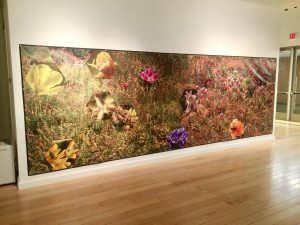 The photographs featured in this exhibit are the work of Carolyn E. Brown, whose photographs of architecture and nature are widely published and exhibited internationally. 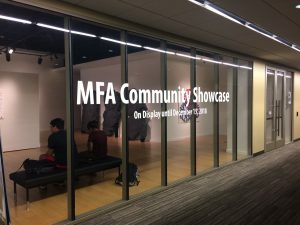 There was an opening reception on September 28, 2017 from 6–8pm in the Reynolds Gallery. Seve Garza, otherwise known as G52, is a graffiti artist, photographer, videographer, and graphic designer based in Austin, Texas. Garza takes graffiti to the next level with his striking use of color, his detailed stenciling, as well as his tendency to focus on close-ups of human faces. 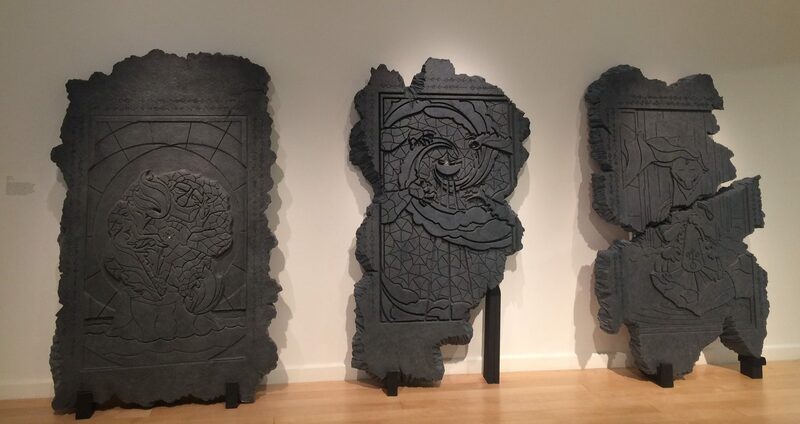 He draws attention to the individualism of the people and items he selects with an attention to detail that is largely unseen in graffiti art. Each piece is achieved through many hours of tedious work, hand cutting as many as eight layers of stencils. He is known to create work focusing on issues of social justice, often drawing from his experiences as a third generation Latin American. 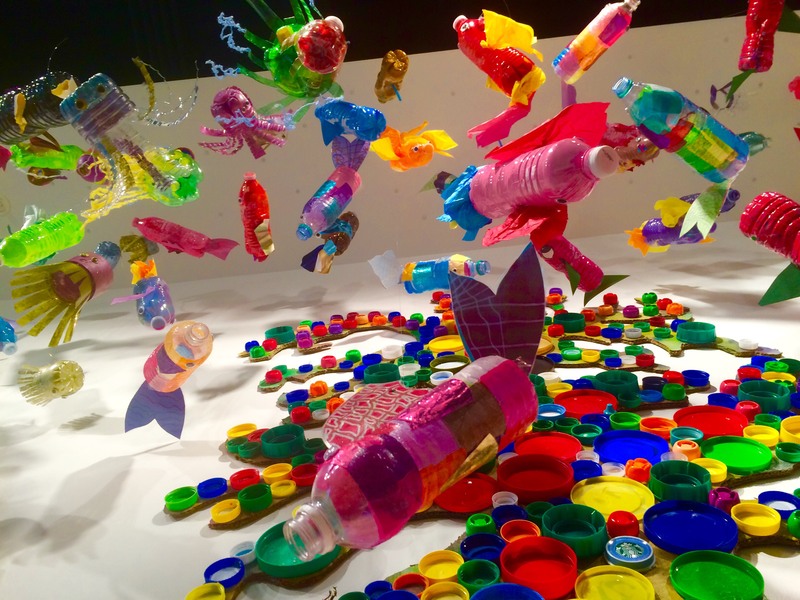 With the help of elementary and middle school students of Bryan ISD, this exhibit showcases ways we can help the environment through recycling. 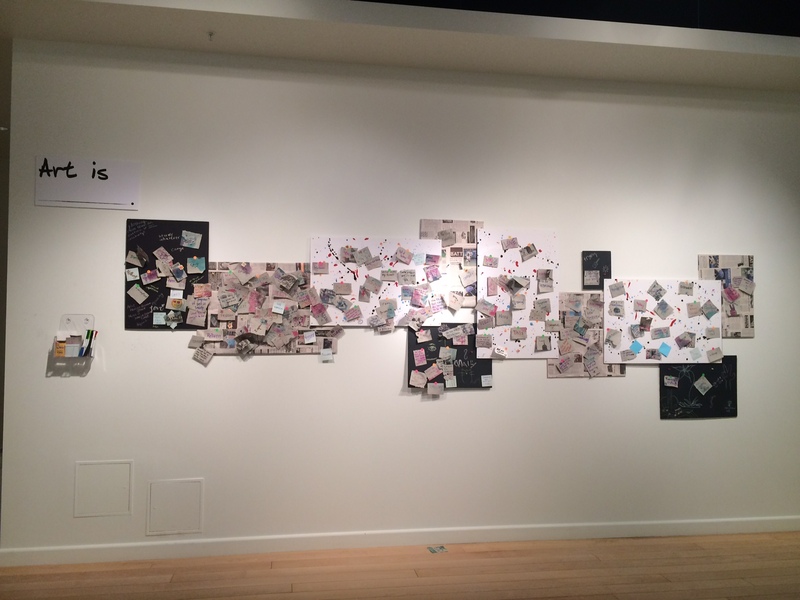 Every piece in the exhibit has been recycled and repurposed. 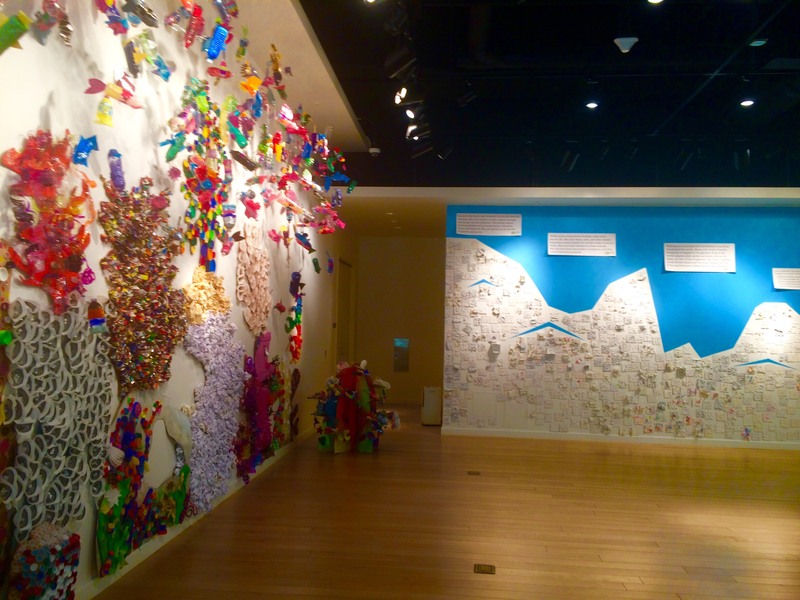 Throughout the exhibit, one can learn about how we affect the environment when we do or don’t recycle. Not sure where to start recycling? Come see us and learn easy ways to change your routine! 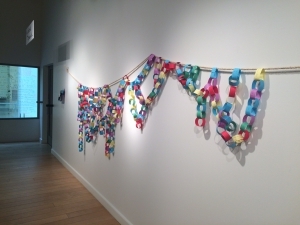 There was an opening reception on April 13 from 7-9pm in the Reynolds Gallery. 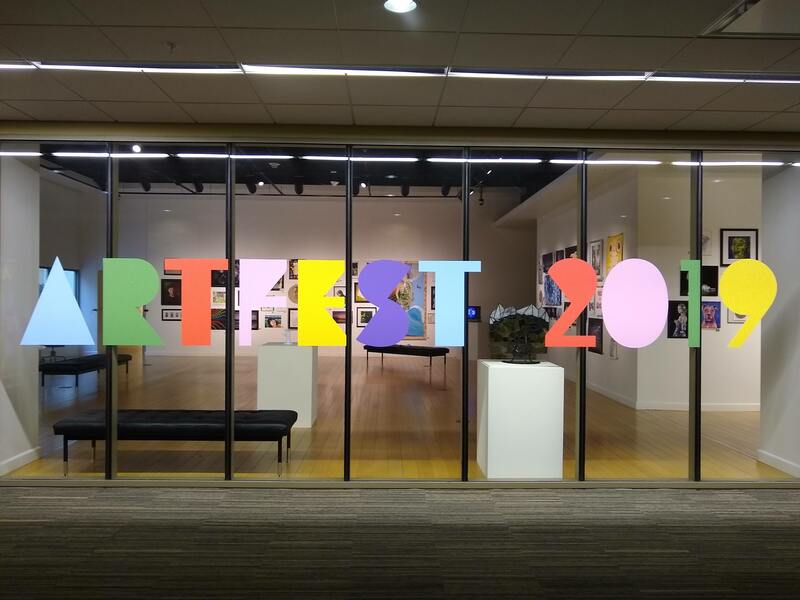 ArtFest is an annual juried student art competition and exhibition sponsored by the Memorial Student Center & The Visual Arts Committee. 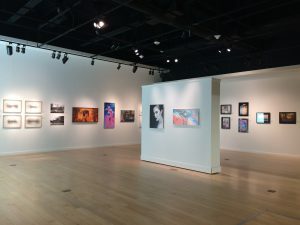 The top winners receive cash prizes and all selected finalists will be exhibited in the James R. Reynolds Art Gallery. New this year: we are accepting short film/animation submissions. There was a reception on March 2, 2017 from 7–9 pm in the Reynolds Gallery where winners were announced. David Chapman Lindsay is an educator at Texas Tech University. 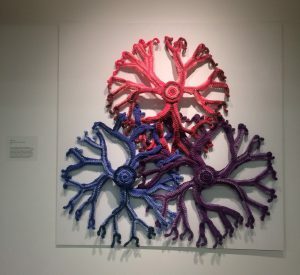 He creates three-dimensional sculptures from painted canvases and uses the architectural space of the canvas as a metaphor for external and interpersonal influences that manipulate the way we perceive ourselves and others. There was an opening reception Thursday, January 19, 2017 from 7 to 9 p.m. in the Reynolds Gallery, David Chapman Lindsay was in attendance. 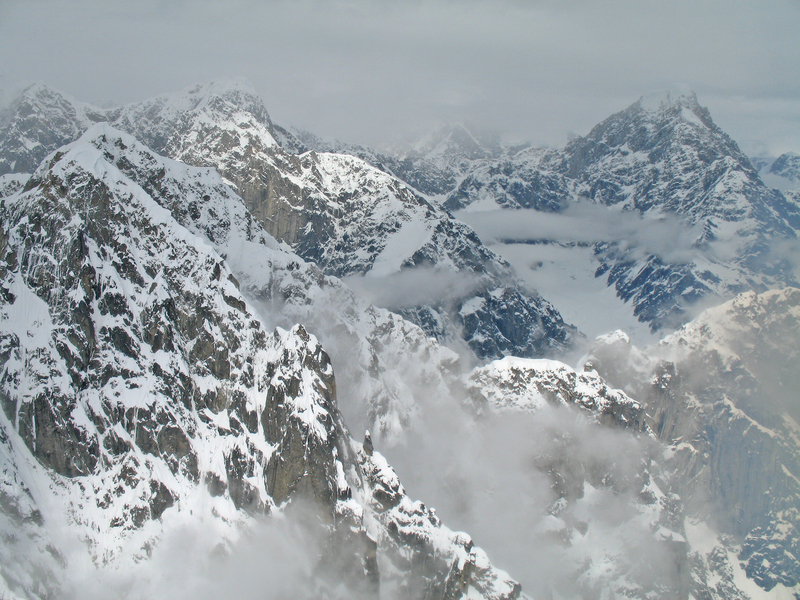 Dr. Sneed is a nature photographer, specializing in photos from State and National Parks around the U.S. He worked in the Texas A&M Veterinary Medical Diagnostic Laboratory for 37 years and was instrumental in establishing the molecular diagnostics section. 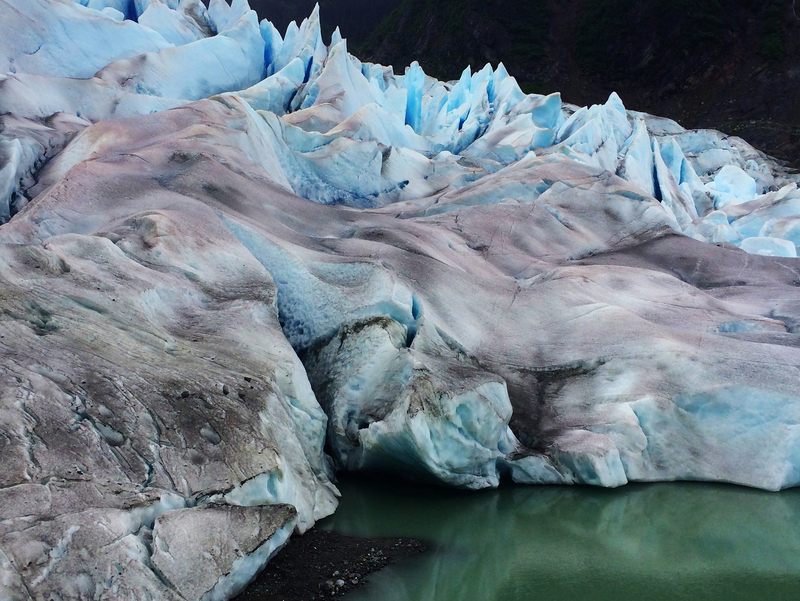 Now retired, he uses his photography to advocate for environmental and conservation concerns. Nature Photography Workshop: Saturday, November 5, Loyd Sneed, VAC, and TAMU Rec Sports will host a photography hike for students of Texas A&M. Pre-registration is required. Location to be announced. 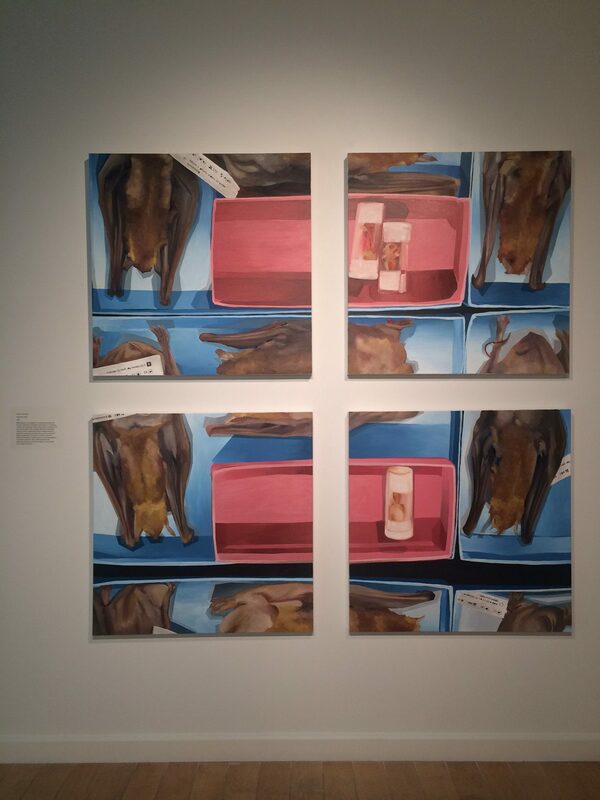 Linda Vallejo’s work was on display from September 14th through October 29, 2016. 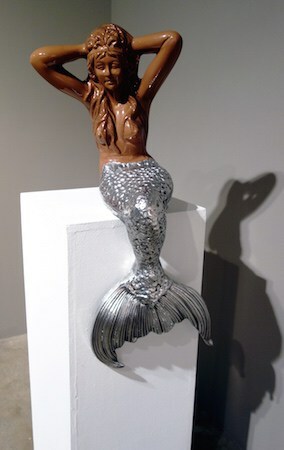 Linda is a Chicana artist from Los Angeles, although she grew up in parts of Texas, Alabama, and Europe. 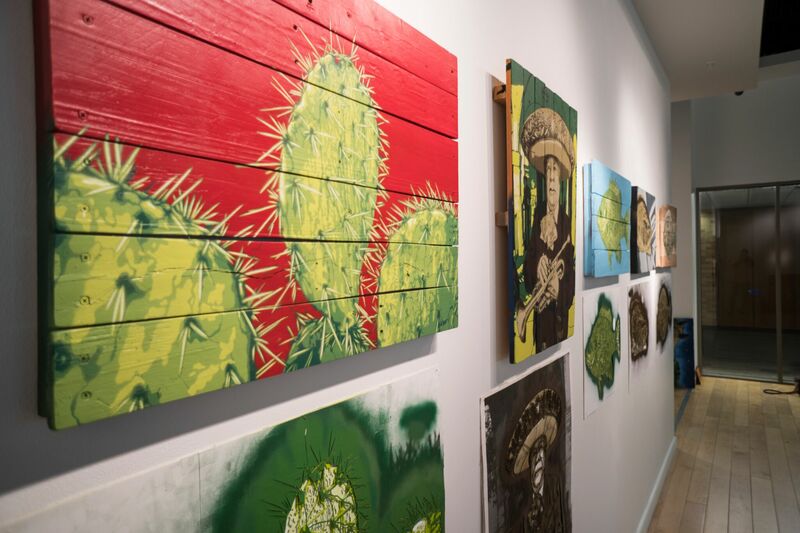 Her Make ‘Em All Mexican work is heavily inspired by pop art and the use of repurposed materials. 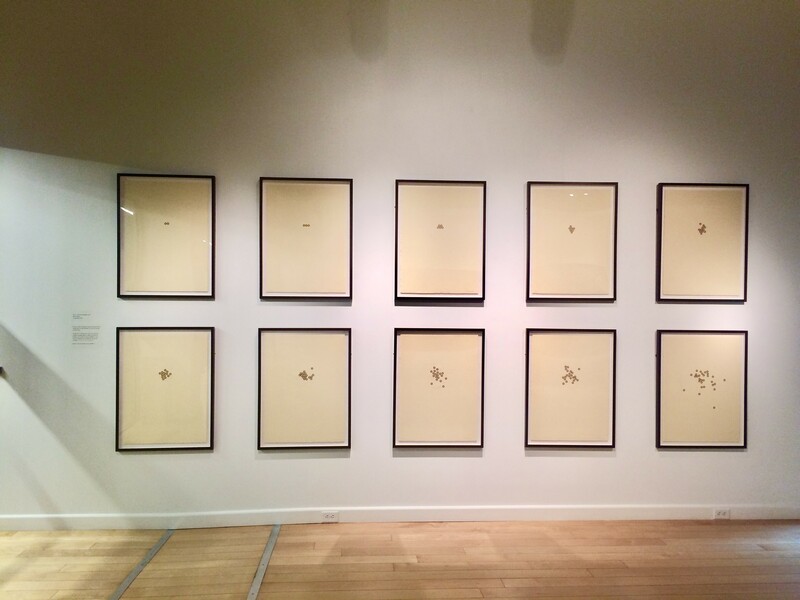 She will also be exhibiting her brand new The Brown Dot Project series that visually represents U.S. national data on Latino populations. Ms. Vallejo visited Texas A&M between September 26 -28, she was available for presentations or other speaking engagements during her visit. An opening reception took place Wednesday, September 28, 2016 in the Reynolds Gallery. 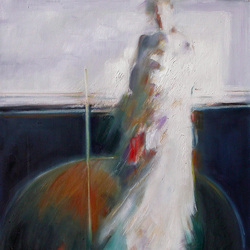 Feissel’s series of 38 oil paintings explores the passage of time and the elusive nature of relationships. The pieces display several different styles and subjects but are connected in their theme: the poignancy of capturing a fleeting moment. A closing reception took place August 25th, from 2 p.m. to 6 p.m. in the Reynolds Gallery. The exhibition of 21 oil paintings explored the artist’s fascination for the natural world, science, and the human figure. Her recent works have incorporated folded paper objects that both conceal and enhance her mysterious and personal narratives. 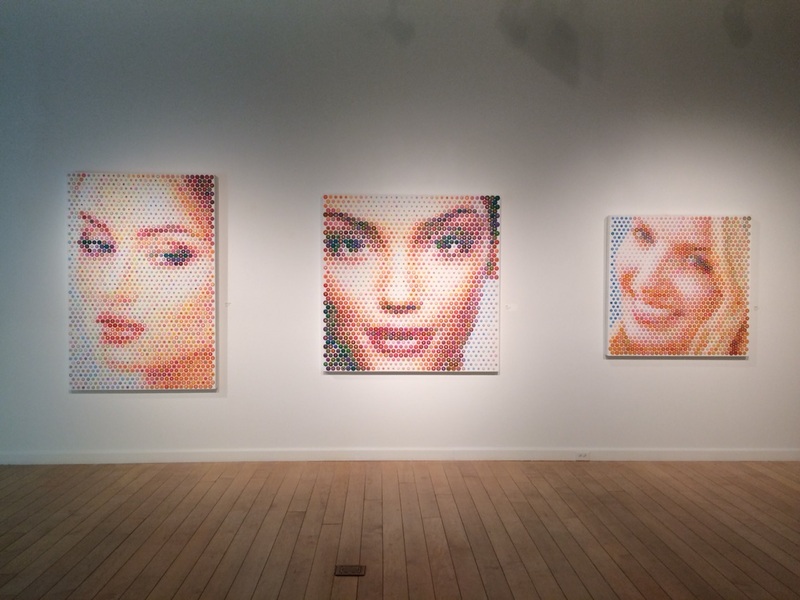 There was an opening reception and a meet-and-greet with the artist on April 28, 2016. 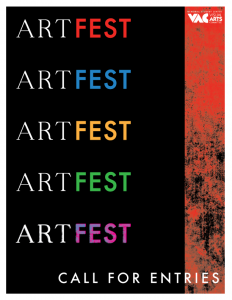 ArtFest submissions were on display from March 2 to April 23, 2016. 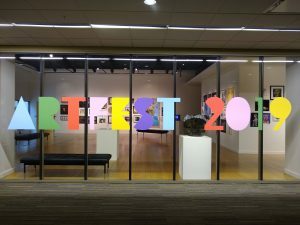 ArtFest is an annual juried student art competition and exhibition sponsored by the Memorial Student Center’s Visual Arts Committee. 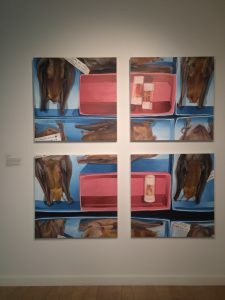 The top three winners received cash prizes and all selected finalists were exhibited in the James R. Reynolds Student Art Gallery. There was an opening reception on March 3, 2016 where the first, second, and third place winners were announced. 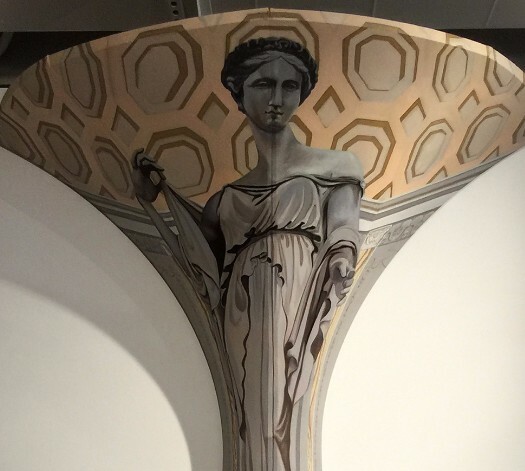 Monumental was on display from January 20 to February 27, 2016. Chris La Porte is a stunning realistic pencil-drawing artist who creates monumental murals that are so real they are often mistaken for photographs. 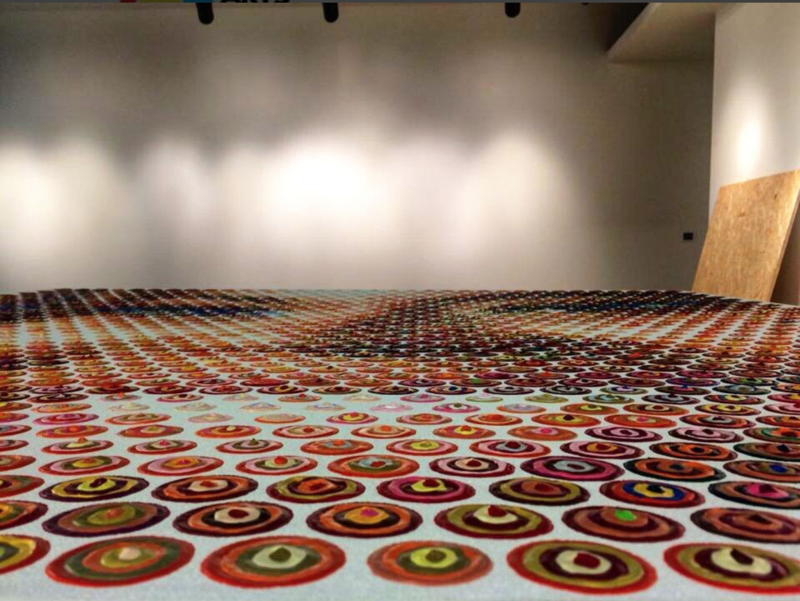 Chris La Porte visited campus as the VAC artist in residence for Spring 2016. 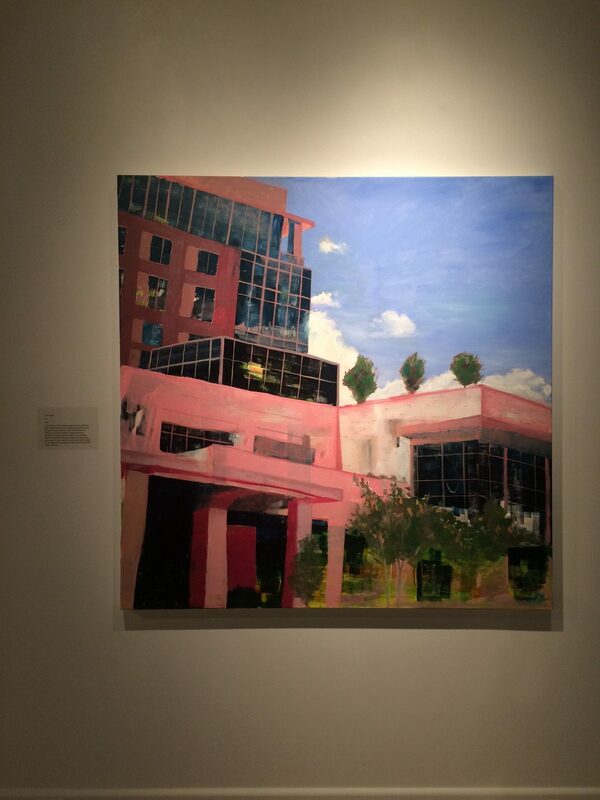 The artist led a public gallery talk at the opening reception January 21, 2016. 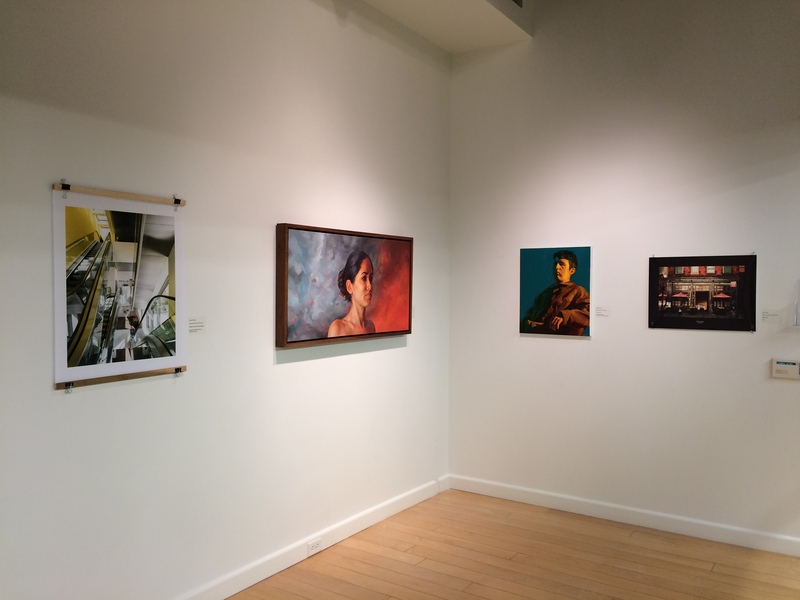 Micheal Monaco’s artwork was on display from December 2, 2015 to January 16,2016. 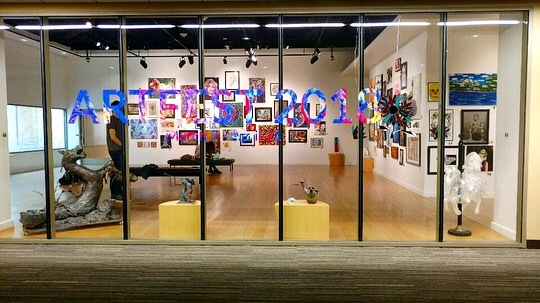 There was an opening reception December 3, 2016. Secrets and Stories was on display from October 28 to November 28, 2015. This was an interactive gallery installation inviting visitors to anonymously share their secrets and stories and read the contributions of others. Inspired by the concept of the online PostSecret project, this exhibition was an opportunity for students to express themselves in a positive, profound way and learn from others. 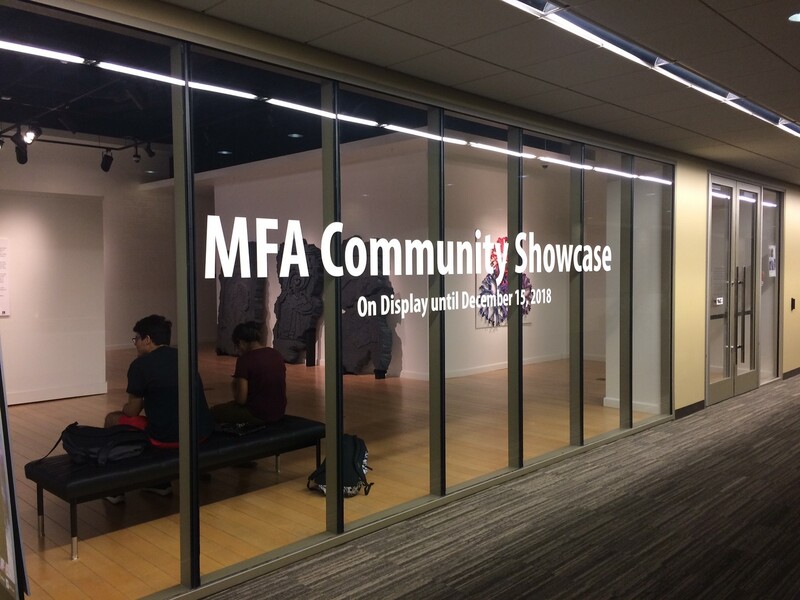 There was a creative writing workshop allowing students to share their work and receive constructive feedback from facilitators and other students hoasted in participation with the TAMU Writing Center in relation with this exhibit. 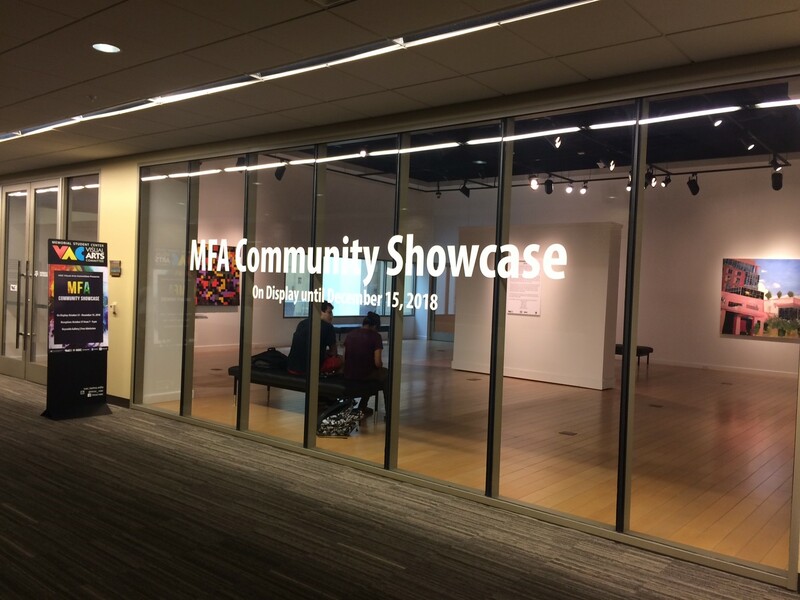 There was an opening reception October 29, 2015, students who participated in the creative writing workshop shared their work. 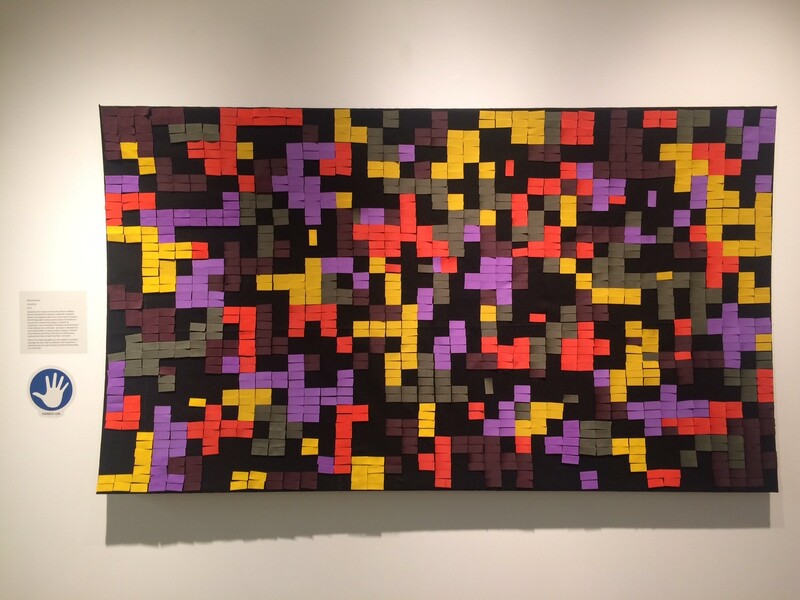 Joseph Hutchinson’s work was on display from September 16 to October 24, 2015. Joseph is a former TAMU faculty member, he taught for more than 30 years he was a professor in the Department of Architecture. 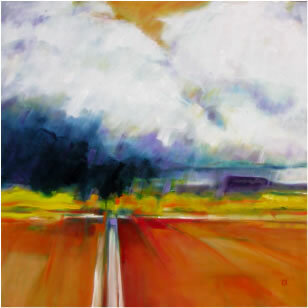 He now lives in Santa Fe, New Mexico where he paints in his studio.Mr. Hutchinson visited campus September 16-19. 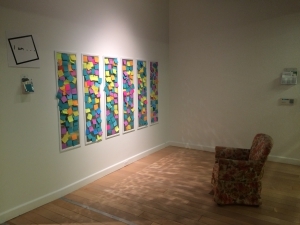 Mr. Hutchinson gave a gallery talk at the opening reception on September 17, 2015.